Support the ERC in our 26th year! For a full list of our current programs, please visit our website. Interested in staying involved with the ERC? Volunteers are needed for winter programs and events! Contact Alisa McGowan ( alisa@ercsv.org ; 208.726.4333) if you are interested in volunteering. Show your support for the ERC by sporting an ERC trucker hat or baseball cap. Hats and caps are $20. Contact Hadley DeBree ( hadley@ercsv.org ; 208.726.4333) to purchase yours today. on Friday, February 15 from 5:00PM-8:00PM to showcase "Wild Life", a wildlife conservation photography exhibit by local photographer RJ Turner. Turner is an award-winning photographer who resides in the Wood River Valley but shoots around the world. She will be present during the Gallery Walk to share stories behind the photographs. Can't make it during the Gallery Walk? No problem! Stop by the ERC on weekdays, from 9:00AM-5:00PM, to see her stunning work. Ann begins the program at the ERC office (471 Washington Ave, Ketchum) introducing participants to our local winter animals, their life-histories, and their winter adaptations, while laying out some basics about tracking. Participants then head outside on a snowshoe adventure north of Ketchum. Space is limited, so register today: 208.726.4333 or alisa@ercsv.org. There is a suggested donation of $10/ERC member and $20/non-member. Snowshoes are required. Our PCEI AmeriCorps Program Associate, Lindsay VanMieghem, has caught the tracking bug and you can too! Read her latest blog post on tracking here. Join the ERC and local birding expert, Poo Wright-Pulliam, for a presentation and Winter Bird Walk at the Hailey Public Library on Saturday, March 2 from 10:30AM-1:30PM. The program will begin with an introduction to Hailey's wintering birds at the Hailey Public Library and then will head outside to the Wood River Land Trust's Draper Preserve. Both novice and expert birders will learn something from Poo! Participants are encouraged to attend both the presentation and the walk, but it is not required. There is a suggested donation of $10/ERC Member or $20/non-member for the walk portion of the program. Currently, we are seeking Pesticide Action Interns, a Recycling Outreach and Action Intern, and a male EcoCamp Counselor. Visit our Employment Opportunities webpage for more details. Interested in an environmental internship, but these don't interest you? The Wood River Land Trust and Nature Conservancy are also seeking summer interns. We are excited to continue many popular programs in 2019 as well as embark on new ones. Keep an eye on our events calendar as the year progresses! In 2018, the ERC celebrated its 25th anniversary. W e commissioned a short film to honor this special milestone and provide our supporters with another vehicle to see and feel the impact of our work. This film was produced by Dark to Light . Watch it here ! To see more highlights of your support in action, click here. 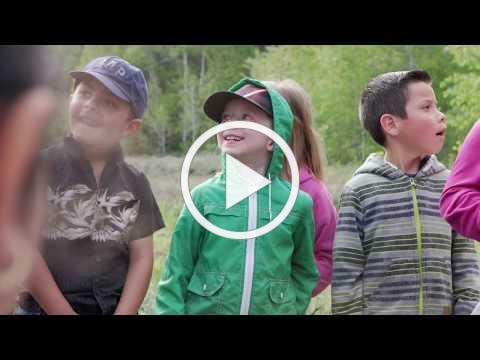 Thank you for supporting the ERC's mission of providing education and inspiring action to cultivate a healthy environment in Idaho's Wood River Valley. Our work is not possible without you - we are incredibly grateful for your support!